The 1961 Chris-Craft 21′ Continental represents the height of automotive styling on the water. The automotive influence can be seen most notably in the tail fins, gull wing top, and upholstery. The hard top is styled in fiberglass—one of the early uses of this material for Chris-Craft. This is a very original example. The boat has been registered in Michigan for its entire life and the cold, clear waters have helped to preserve the hull. All of the wood with the exception of one or two planks are original to the boat. 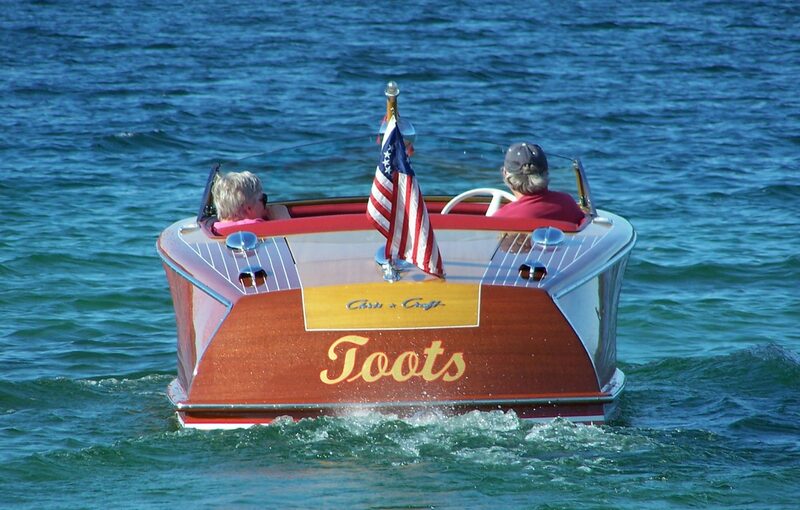 The original Lincoln engine has been replaced with a modern 454 which makes the boat easy and enjoyable to use. All upholstery is new and done using the correct factory materials and methods. Recent varnish and paint. This boat is rare, turn-key, and ready to go. Priced at $67,500. For more information, photos, or to schedule a viewing, contact Mike or Kirk at 616-396-7248 or email [email protected].